Announced early September, the Satellite U925t, a Sony Vaio Duo like ultrabook powered by a Core i5 Ivy Bridge is now making its debut in Japan under the name of Dynabook series. However, Toshiba hasn’t gave a word on pricing and specification details on this Japanese version of the Satellite U925t that is scheduled to hit Japanese stores within a few month with identical specs as its North American version. Japan’s leading mobile phone carrier NTT Docomo showing during the CEATEC 2012 in Chiba an interesting concept on the paper that is totally lame in reality, behold the Grip UI from Docomo. The theory, and reality, is that it is rather difficult to use your smartphone in a confined environment like a train for example. It is indeed at pick-hours almost impossible to use both hands with your smartphone without a) Disturbing your neighbors and b) Standing still without disturbing anyone when the train is moving. Strong from this two very basic points the R&D section of Docomo devised a very interesting plan by adding pressure senors on each side of the phone as well as developing a dedicated UI than can be control by just pressing your phone in certain areas. As the video above will how demonstrate the system works, however once you have the phone in your hands this is actually a complete different story! Sure with time and patience you can make it work but you needs to have giants hands with alongside the dexterity of a robot. Even worse certain “gesture” will at best give you cramps and at worse you may accidentally drop your phone as soon as the train conductor hit the brakes. So yes, interesting concept. KDDI offers an Android application that allows you to use the palm of your hand as a recognition tool for unlocking the device. KDDI’s booth was rather uneventful this year and has not much to show, unless maybe this very cool new palm authentication app for Smartphones. 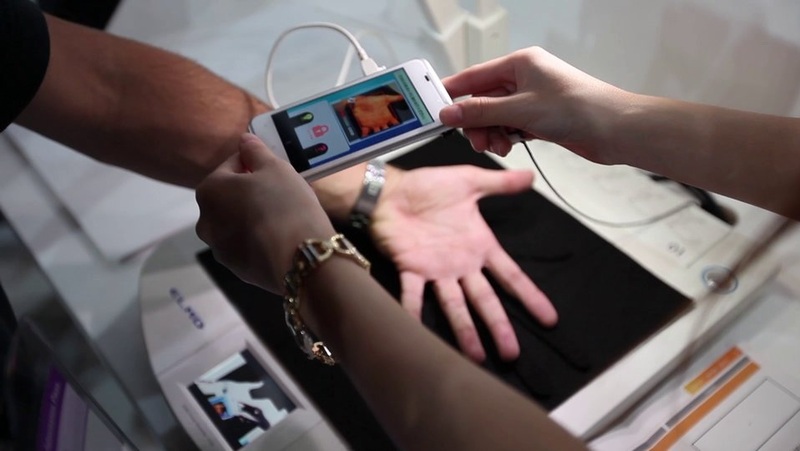 Unlike Fujitsu Palm Reader technology, KDDI’s palm authentication app will actually read your “palm” and take a picture of your palm and its lines and memorised it for future use. Thanks to today’s Hi-resolution sensors, Cameras embedded on smartphones can take pretty accurate details of objects and in our case every details of your palm lines. Once the picture taken of your memorised hand you will be able to unlock your phone by simply scanning once more your hand with your phone camera. KDDI has unveiled the new palm authentication app that takes advantage of the high-resolution camera on its Android smartphones. 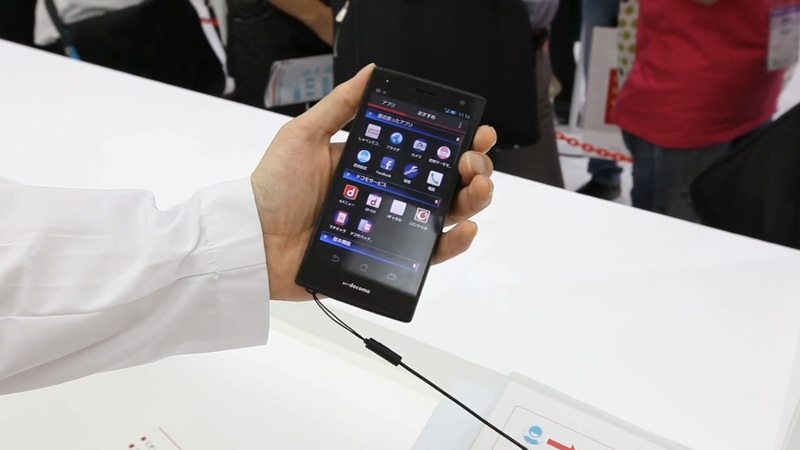 Scanning in tandem with the flash, that has being demonstrated on a HTC J, here at CEATEC 2012 in Japan. Well this system may not be as secure as Fujitsu’s Palm Secure technology you have to admit that this “Cheat” security solution can be a nice addition to all existing way to secure your smartphone! . 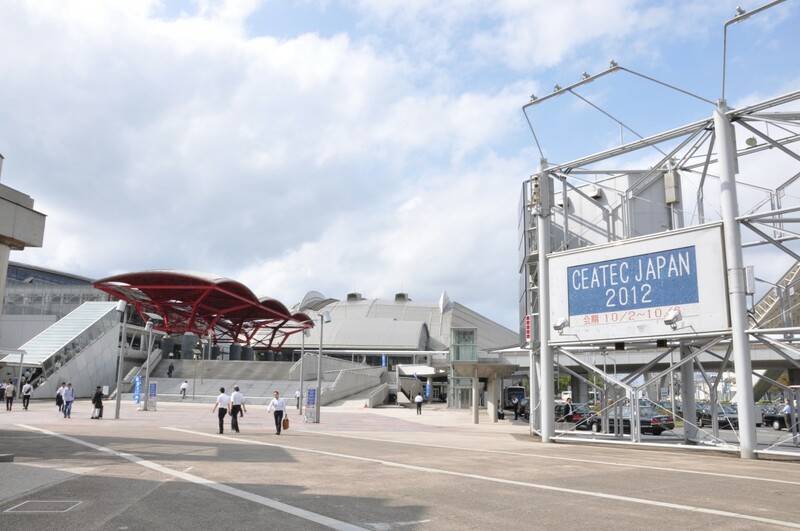 Placed this year under the sign of intelligent innovation, the Ceatec 2012 edition will be welcomed a 624 exhibitors, mainly from Japan, distributed at the discretion of some 2300 booths. Unlike IFA in Berlin, where manufacturers and companies come to present products that will take place in linear short term, The Ceatec is usually the opportunity to plan further into the future, with the demonstration of prototypes and technologies whose business opportunities are still a hypothesis. Although a scale smaller than the IFA in Berlin or the inevitable CES in Las Vegas, it is therefore a special charm for lovers of technology. The AkibaTech31 will be keen to share with you the passion of innovations throughout the week.